Long-term care can place a huge question mark on anyone’s end-of-life plan. 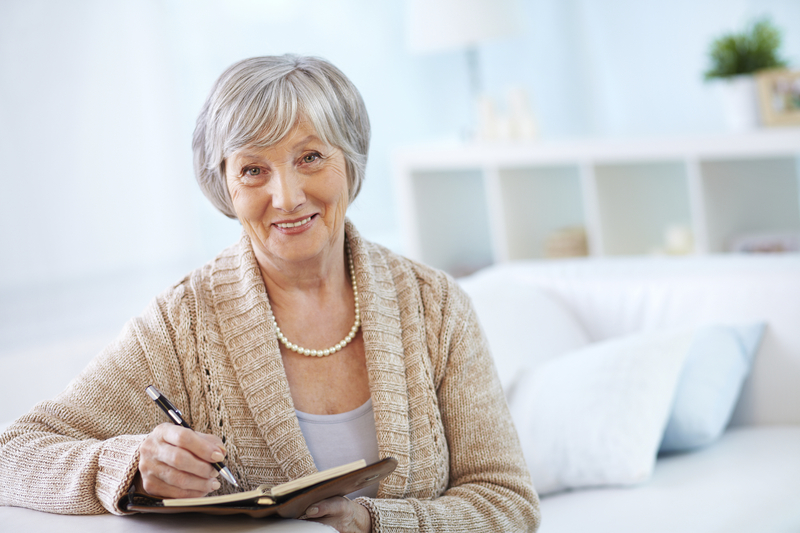 At some point, all seniors will need some sort of long-term care, whether that care involves moving to an assisted living facility or having someone come to your home to take care of some of your household chores. But, of course, some people will need long-term care sooner than others. Figuring out how much long-term care you might need and planning for the cost can be complicated. Sorting through all the information on the internet can be confusing, and much of it might not even be applicable to your circumstances. To help you find your way through the maze of long-term care planning, follow this simple two-step process. Before you can plan for how you will pay for long-term care, you must first figure out how much care you’ll need to begin with. This can be done by looking at your lifestyle, physical characteristics, and other factors. According to Forbes, it is estimated that 58 percent of men and 79 percent of women aged 65 and older will need long-term care at some point in their lifetime. How long your care is predicted to last also depends on your gender. The average length of care for men is only 2.2 years, while the average length of care for women is 3.7. Therefore, if you’re a woman, you should plan on having more long-term care expenses than if you were a male. There are other factors to consider as well, however. Your lifestyle has a lot to do with how gracefully you age into your senior years. If you’re exercising appropriately and eating right, you will probably age better than someone who hardly moves off the couch and only eats fast food. Other habits can affect how well you age too. For example, if you commonly wear sunscreen when outside, you are statistically more likely to age in a healthier way than someone who does not. Risk-taking behaviors, such as cleaning your gutters even when your balance isn’t good, can also have a negative effect on your health. To age as healthy as possible, you may need to make appropriate modifications to your home to prevent injury and develop a healthier lifestyle. Some factors contribute to long-term care that we can not control, though, such as hereditary illnesses and previous injuries. Take these into account when deciding how much long-term care you are likely to need later in life. Long-term care costs money, and many people are not prepared appropriately to pay for it. If you are not yet close to retirement, you still have plenty of time to save for long-term care. However, if you’re already retired, you’ll likely have to look elsewhere to fund your long-term care. Selling your house is sometimes an appropriate approach, but this can change depending on the market and your home’s value based on home listing prices in the area. For example, in Tullahoma, Tennessee, houses typically sell for $130,000. However, if you’re planning on having in-home care as opposed to moving to a facility, this is obviously not an option. Another option to consider is long-term care insurance. According to NerdWallet, long-term care insurance often provides you with money to pay for care in a variety of places, including your home, nursing homes, and assisted living facilities. However, the key to long-term care insurance is that you must buy it before you need it or you will not qualify. Planning for long-term care can seem overwhelming, but by following this two-step guide and planning accordingly, you can be well on your way to planning for your long-term care. We all need a little bit of help sometimes. Those who require more assistance than normal, however, may also need extra coverage. Long term care insurance in Tullahoma Tennessee can help you take care of yourself and protect your family’s financial outlook. At Lester, Greene, McCord and Thoma Insurance, our agents are intimately familiar with the rigors of ongoing care. We look forward to helping you identify viable policy products that reduce the hardships associated with using senior care effectively. Why Might You Need Long Term Care Insurance in Middle Tennessee? As people grow older, their medical requirements evolve too. From being looked after by an in-home nurse to residing in an assisted-living facility, senior care can represent a significant expense. Unfortunately, these financial obligations commonly fall on your loved ones. Long term care insurance starts where your regular medical coverage stops. By including the many forms of extended caregiving that Medicare and similar plans neglect, long term care coverage makes it possible to receive the aid that you need without having to pay for it out of pocket. We believe that providing long-term care policies isn’t just about looking after the elderly. It’s also about helping their families come to terms with their situations. That’s why our agents approach each case with the delicacy and compassion that it warrants. Our clients depend on us to offer long term care insurance terms that suit their immediate financial constraints, but we also help them look ahead. For instance, an individual with chronic or debilitating ailments may require more extensive long term care insurance coverage than someone who’s in relatively good health would. Lester, Greene, McCord and Thoma Insurance experts listen carefully to your concerns and objectives to provide you with more viable senior care insurance options and the knowledge that you need to make the smartest decisions. Don’t wait until senior care becomes a necessity to think about the inescapable costs. Talk to one of our agents about long-term care coverage in Middle Tennessee now. This content represents only brief statements that relate to coverages. Please consult your independent agent for specific coverages, conditions and exclusions, as well as information about other fine products from Lester, Greene, McCord and Thoma Insurance.